Hear them clang. And on fire! Isn’t it rather great that the only person who has the balls to take on Trump doesn’t have any balls? It’s obvs that Nancy deserves some honorary balls. The Academy of Scrotum Awards: Come to the Ball. 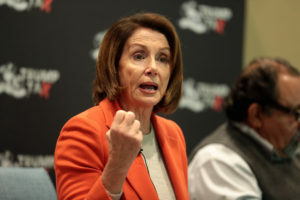 And the scrotum goes to…Nancy Pelosi, for acting as if she has balls.